It’s a good app but I wish they had a monthly upgrade option for something like $10 or so instead of only a yearly option for $79. It’s unpractical if you don’t need it for that long. If you need to revive a fax from anywhere, this works great. Temporary number to give to the sender. Faxes come in clear. Fax also received in my email so I don’t have to worry about losing it in the app or converting and saving etc. But, if you need to send, only option is annual subscription with the ability to send 500 pages a month. I’m sure it’s a great deal, but I’m never going to have to fax 500 pages on a monthly basis. A pay-per-page option would be great. Some apps make you buy credits, which can make you lose money when you need 4 credits but have to buy 10. But a basic “0.10$ per page” or however much they want to charge would be great. Then when I have to send doctors records to some school and they want a fax I don’t have to pay for a year to send 4 pages. No complaints, worked exactly as described! Thanks! I tried a while ago to find a way to fax from my iPhone and got really discouraged. Each app I tried once installed wanted a credit card number. 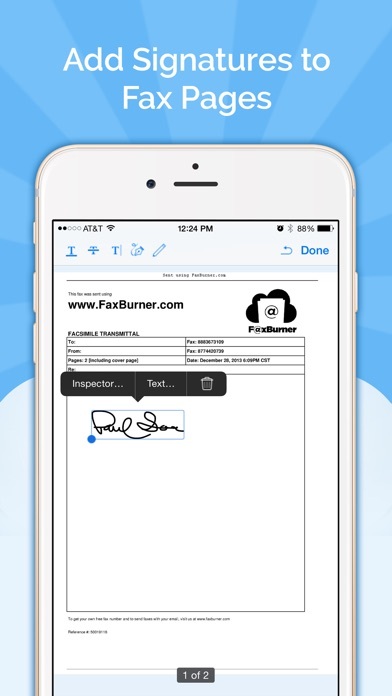 I decided to try one more time to find an app to fax with and found fax burner. I was in disbelief that it actually worked and was really free. It was so simple I thought there was no way it could be real. I haven’t been this pleased with an app in a long time! Downloaded, setup and went to fax my first page but no trial period. Be aware you will pay for even your first fax and have no ability to assess function before paying about the same as it would take to get a real dedicated fax. Might use it in a real pinch but probably not. I was testing a fax machine for work, and didn’t have a partner fax machine I could easily send tests to and receive test faxes from. For a free app this worked amazingly well for my purposes. I’d definitely buy the paid for service if I had the need. No games just fax I use one every 3 months This is great ! You get 5 free faxes in the life time of your account. Otherwise after that you have to upgrade and it starts at $10/ month. I send 10 faxes a year. I’m not paying $10/ month for 10 faxes a year. If they had so many faxes a month for free and it starts over every month, that might be worth it. I’m gonna try another app were you can buy credits for a few bucks, and just buy more if you run out. Better than $10/mo. This App Service worked like a charm when I found myself unexpectedly needing to receive a fax from my Dad’s doctor, and couldn’t rely on our work machine. FaxBurner Saved me a lot of heartache. Don’t download this app. I used it for the free period, which was fine. Then it required a fee for continued use, so I picked a level and paid. I sent one or two faxes with that new number which was supposed to be “for life”. After quite a bit of time, I logged in to use it again and now it rejects my faxes and can’t find my account. What’s worse is that you can’t contact customer support unless you have a paid subscription so there is no way to correct the problem. So, they STOLE my money and won’t allow me access. They are thieves. DO NOT GET TAKEN LIKE I DID. There are tons of apps out there that will do this for you. Pick a different one. I can’t receive faxes, I even tried to send them to myself and it doesn’t work, I receive an error message. I scoured Google and the App Store for an app that let me send and/or receive very occasional faxes for free. This app was the best I could find. Receiving 25 pages free every month is definitely the most free receiving I could find. Sending is pricing unfortunately, but they all are. But at least they give something for free (5 pages total), which most don’t. If you have a fax machine at the office and want the ability to occasionally receive a fax from a client on your phone so you don’t have to go into the office, etc, this app is for you for sure. Fast and free for the first few faxes, but after that it’s $80/year. Can’t access documents on device or email. You can only photo the document so your image will have the shadow from your phone and page data is not aligned with the page as well as the document content is miss formed. There is an options to use Dropbox if you happen to have an account with that program. Free Trial is 1 fax Limited to 3 pages. 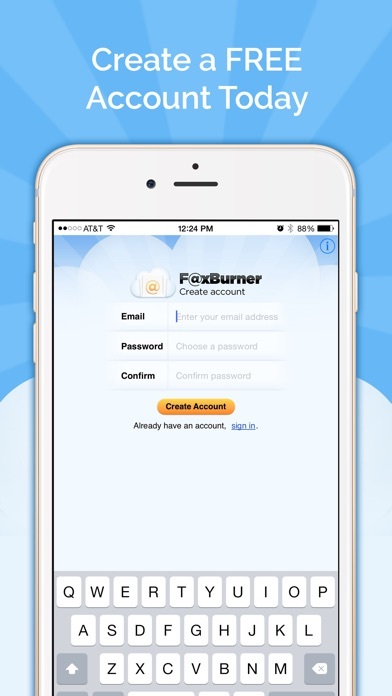 I tried three other supposedly free apps before I found FaxBurner. It was easy to use, straightforward, and worked the first time. I would totally use it again. You think you are going to be able to send a fax from your phone but after creating an account, uploading the fax and entering the number I got a message saying I had exceeded the number of free fax I could send. Granted it was nine pages but jeez, it was a medical document. After all that I had to start over trying to figure out how to send the information the medical office was waiting for. You should warn people it will cost them money to use. I used it several years ago and it worked fine. I upped for a year service because I needed to send a fax urgently. I had some trouble getting it to work. It now is working as promised. The app is easy to use. Straight forward. The only problem I have is that you only get 5 free fax’s to send then you have to pay. I don’t have a problem paying. But a monthly charge of 9.99 is need and you get to send up to 500 pages a month. I’m never going to send that. To keep me as a customer, please add a provision to buy the pages that are needed. Like .25 per page. Si funciona es una exelente aplicacion increible muy facil de usar y sobre todo gratis si tu no usas mucho el fax solo te dan para recibir 25 fax cada mes pero a mi si me funciona ya que yo no lo uso tanto no es tanto como para enviar pero para recibir funciona excelente. I downloaded the app and I attempted several times to send 3 pages, I kept getting an error message that the free service only allows 5 pages. Clearly they just want you to pay. Don’t advertise a free service if it is not truly free! I am so impressed with this app. It does what it says it will do and is clearly a leader in this type of solution. I went to try to rate it five stars (which I never do) and had to try to find out how to do this. I did via the App Store. This is another true testimony to the developers building an app for a purpose and not just for profit and ratings. Well done. Hi. I am unable to send documents from app to email. Can anyone help? I see some low ratings but this is the only help I could find for the rare users Who don’t need to purchase a subscription or number just have to send that one thing every so many years apart. This is clearly a fast easy win only idiots rated low or people who need business level faxing. Needed to get a document sent to me from the IRS and they only can send it via fax. Was able to sign up on here for the professional account and it worked perfectly. Now I have a fax number I own and I’m in much better shape now with the IRS which is always a good place to be. Thank you FaxBurner! Fails so miserably at job one. Job one should be to deliver a legible facsimile. This app is terrible. Even from a totally clear .pdf, the recipient had to call to interpret it. It should be a time saver, not a time waster. Fail. Are numbers really disposed of after 24hours?? Cause I've been receiving fax for someone else. I get the impression that I was given someone's old fax number. This is a big concern for me. I attempted to send my trial fax and it says they’ve been used. 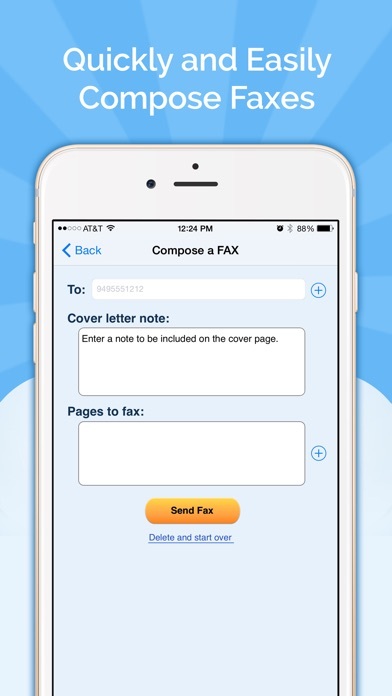 I’ve never sent a fax with this app. Silly waste of time. Awesome and easy to manage service! I am one of those individuals who rarely send or receive a fax, I work from home and the simple fact to find a service as the one FaxBurner offers is just one of a kind and the solution for my business. Free service, upgrade if needed based on the load, email confirmations when the fax failed or it is sent. Simply fast and great customer service and outstanding app!! Highly recommended! The fact that checkmarks in a pdf are not captured when faxing, and that I was not able to determine that fact until after the fax was already sent has turned something that should have been a simple convenience into a horrible mess! I sure hope I don’t die before I can fix this because if I do my wife will no longer be listed as the primary beneficiary on my goddamn life insurance policy. Details matter! This was the only fax app that I found that allowed me to send a fax without trying to charge me for a subscription or credits. 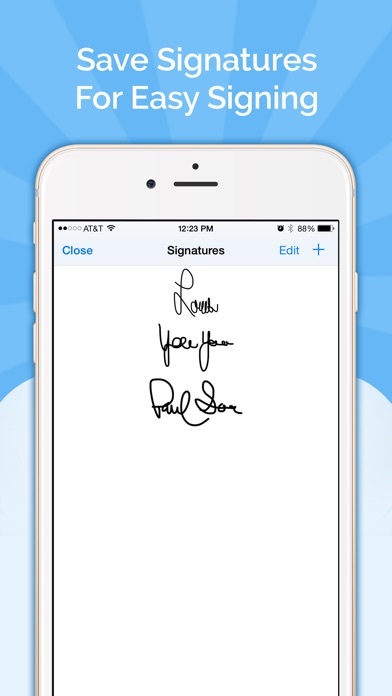 I needed to send a simple test fax, and this app worked flawlessly. Do not use this app!!! Your information will never be received! You cannot trust this app with any documents. Find a reputable company to do business with. This app will hold your documents hostage so that you must pay $79.99 to receive them. MISLEADING!!!! This app is very easy to use. Sent a test app to my fax machine and it worked perfectly. Now I can get rid of my landline. I sent 1 page fax and then received message I had used up free faxes and had to pay $79 to get subscription. I downloaded about 5 to 6 apps. All of them require too much information, only one page, or money. This allowed me to send five pages and a cover letter I am so happy that I found this app I will be sharing it with everyone! It’s only free for the first 5 pages for the account. The app even counts pages when the fax fails to go through. According to the e-mail received. FAILED Busy. The app is easy to set up and use. The fax that finally connected took about 10 minutes according to the time stamps on the confirmation e-mail. I’ve tried lots of efax services. This is one is the most reliable, easy to use, affordable and one of few that actually lets you send faxes from your email! I’m always out of the office but get all my faxes in real time! Support is also awesome! I don’t send many faxes anymore, but I did need to send out a medical document. 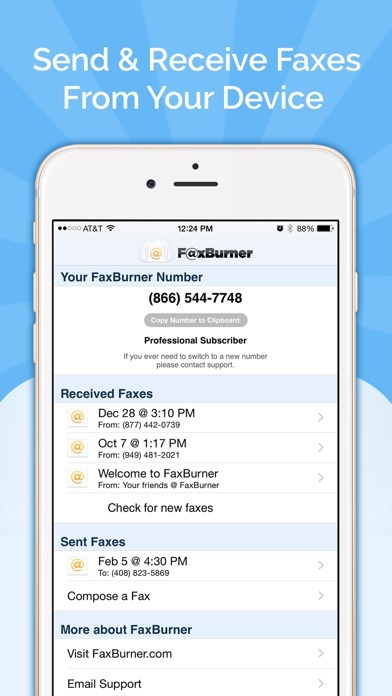 Downloaded this app and within 2 minutes had it set up and fax was sent. Got a confirmation email from the app. Very easy to use. Used to receive faxes and worked very quickly with no issues. I tried to send 1 fax with 4 attachments. It didn’t go through. So I tried again, except the app tells me I used all my free faxes. IT DID NOT GO THRU! Simple and easy to use.! I’ve used this twice, and it’s free fax for 24 hours and after that you must reserve the fax number (pay for it) and it’s all yours to use for as long as you like. I love fax burner. I send a fax about every other year or so, so when I needed to send one yesterday I didn’t want to pay for the privilege. This app worked perfectly, was easy to install and use, and the recipient got their information quickly. Thank you!